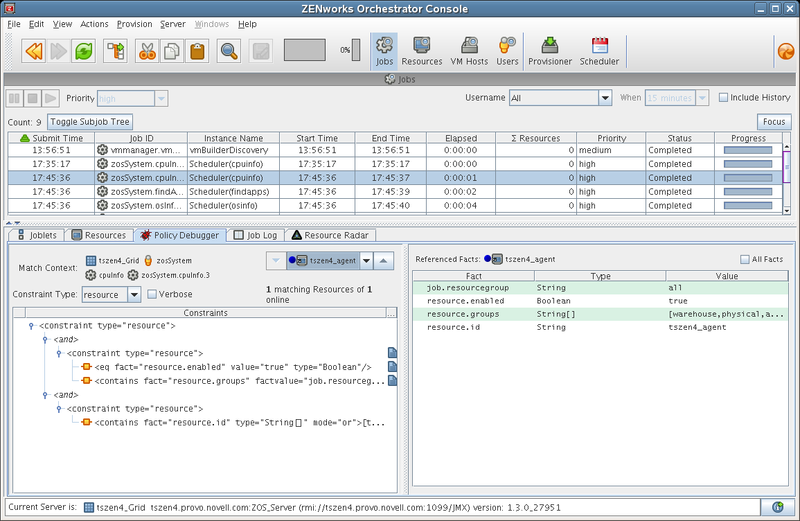 The Policy Debugger is a tabbed page available in several views of the ZENworks Orchestrator Console. This tool helps you to determine the reasons for the current state of a job. The following figure shows the Policy Debugger tab opened in the Jobs view of the console. The Policy Debugger tab is also available in the VM Hosts view and in the Provisioner view of the console.